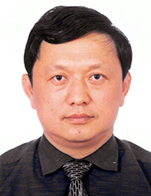 Prof. Sun Yuqing, Ph.D. supervisor, presently serves as the President of Dalian Maritime University (DMU). Prof. Sun Yuqing also serves as a member of National Manufacture Power Construction Strategic Consulting Committee, a member of Sub-committee of Energy and Transportation of the 7th Science and Technology Committee of the Ministry of Education, Deputy Board Chairman of the Cross-Straits Shipping Exchange Association, Director of the Seabed Engineering Technology and Equipment Joint Research Center, and an executive member of the "China Shipping 50 Forum". His research focuses on marine engineering and ship mechanical and electrical integration.